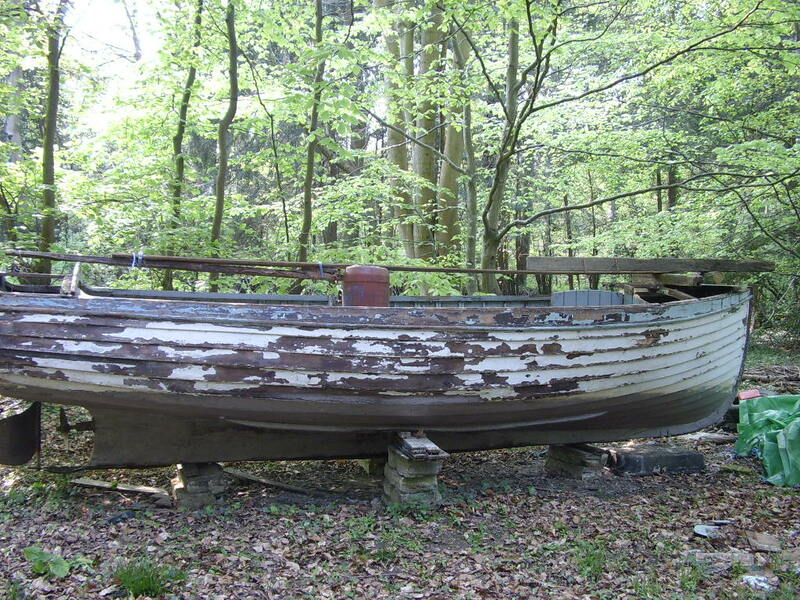 Ben Wales wrote to say that he and a friend have embarked on restoring an 18ft clinker-built motor launch that was found stored under trees on a farm. Apparently she had been there for almost 28 years, so I think the boat’s done well to last as well as it has. 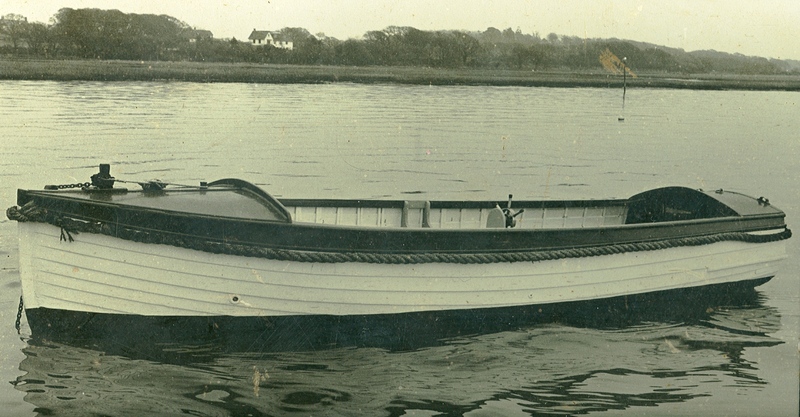 Ben’s research has revealed this boat, named Mary, was previously used by the Royal Lymington Yacht Club and was used as a tender for the club’s yachts and visitors. No one seems to know when and where it was built, he says, but he thinks the early 1930’s would be a good guess. ‘The launch will require a major rebuild with new top planking and decking. ‘So far we have moved the boat to a new location for the restoration work, and replaced the stem piece and the transom top. The major problem is locating good long lengths of mahogany planks for the top planks; we are currently looking at western cedar as it is priced well and we can get it in the long lengths we require. Ben says he hasn’t been able to find much evidence of clinker-built open launches being restored, and says that there are very few still around in his area, so he would be very interested to hear about other similar projects. If you’re doing something similar or if you have any further information about Mary that you think Ben would find interesting or useful, please contact me at gmatkin@gmail.com or use the contact button below, and I will pass the information on. Thanks Ben – and do please keep us in touch with your project. Try asking Jeremy Rogers [of Contessa yachts] His family have been members of the club for many years.